They’re colourful, they’re cool and everyone wants one for their website – infographics. The growing popularity of infographics is revolutionising the presentation of information online but like many new trends, infographics have been around for a long time. Infographics are visual representations of information, data or knowledge intended to present complex information quickly and clearly. They can help improve understanding by using graphics to help people see patterns and trends in complex information. The London Underground map is a great example of an infographic – like we said, they’ve been around a long time. 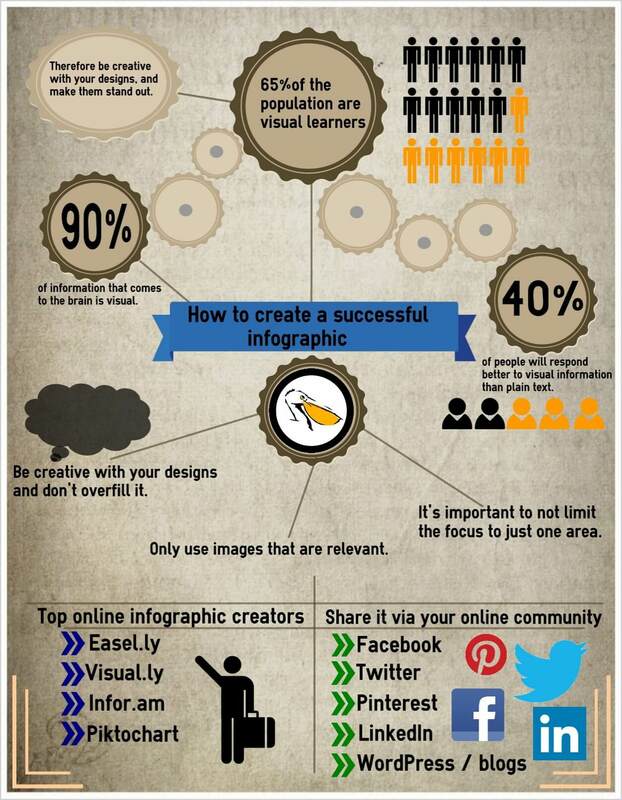 Creating an infographic can take hours of design time if you have the budget all well and good. Thankfully there are several free to use online resources that allow you to create your own infographic quickly and easily. Try these: Visual.ly, infor.am and piktochart. Why do they matter? Well with so much information now available online, any tool you can use to communicate more effectively has got to be of interest. And with the rise of the four screen households (Kantar) viewing, rather than reading information is going to become increasingly important. If you’d like some help creating an infographic the communications team at Pelican will be delighted to provide you with help and advice. We’ve even created our own handy infographic to show you how to do it.